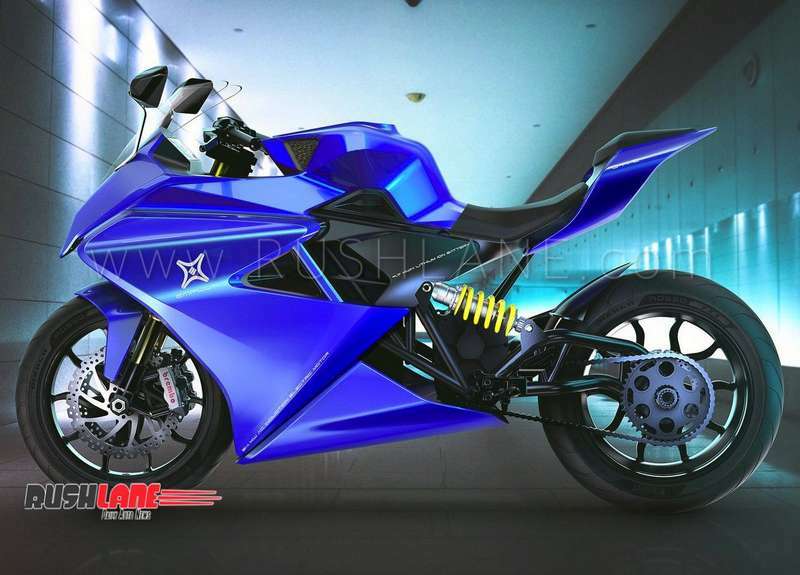 The Made-in-India Emflux One electric sports bike is priced at Rs 6 lakhs. Emflux Motors, a Bengaluru based electric vehicle startup showcased the Emflux One sports bike at the 2018 Auto Expo. 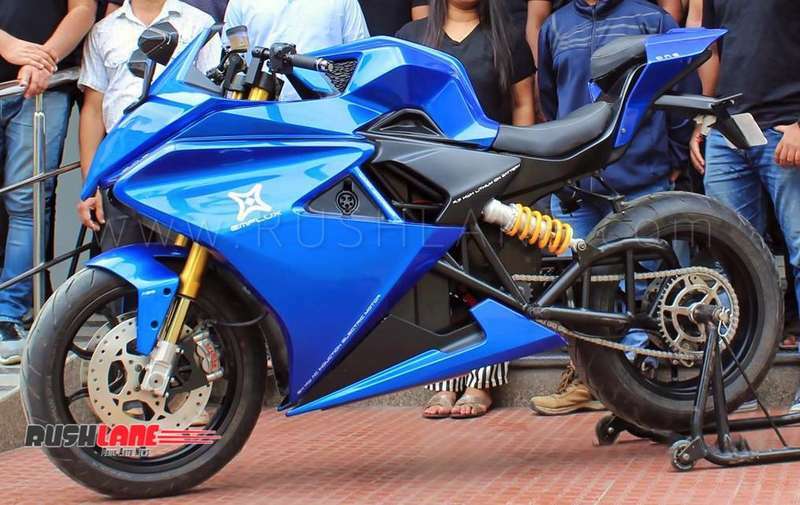 This is India’s first indigenous electric sportsbike with acceleration from 0 to 100 kms in 3.0 seconds, top speed of 200 kmph and a range of 200 kms. Emflux Motors has now given the motorcycle a subtle update. Speaking about the update, Emflux says – “Our bike has undergone a few Design changes and refinements that are aesthetic, ergonomic, as well as functional in nature. Speaking about the differences, Intakhab Khan says, “The back seat is modified, swing arm design is changed, sprocket design is changed, front brake disc design has been changed, mudguard position has been changed, belly pan design is changed.” Below is a photo of the Emflux One which was showcased at the Auto Expo earlier this year. Earlier version of Emflux One. Emflux One boasts of onboard features such as GPS navigation, a 6.8” TFT screen, Wi-Fi and Bluetooth. It is built on a tubular steel trellis frame and gets 43mm USD front forks and gas charged monoshock at the rear. is powered by a Samsung lithium ion battery pack. The motor offers 62 PS peak power and 84 Nm peak torque at 8,400rpm. Braking is via Brembo 300mm dual disc brakes in the front and 220mm disc at the rear while dual channel ABS is offered as standard. The Emflux One sits on 17” wheels fitted with Pirelli Diablo Rosso II tyres measuring 120/70-R17 at the front and 180/55-R17 at the rear. The electric superbike will launch in March 2019 and is slated to be priced between Rs 5-6 Lakh. A total of 499 units of Emflux One are planned for production of which 199 units will go on sale in India while 300 units are exclusive for export markets.